By the time you are finished reading you will likely feel that employment questionnaires were never so detailed or intrusive. I have by (bitter) experience come to realize that spending time in a 42 foot by 14 foot wet and bouncing box for days on end and having a good time at it requires a very specific fit of personalities. I ask these questions for our mutual protection – being on a boat in the ocean with someone you don’t like or don’t trust is its own particular version of hell. 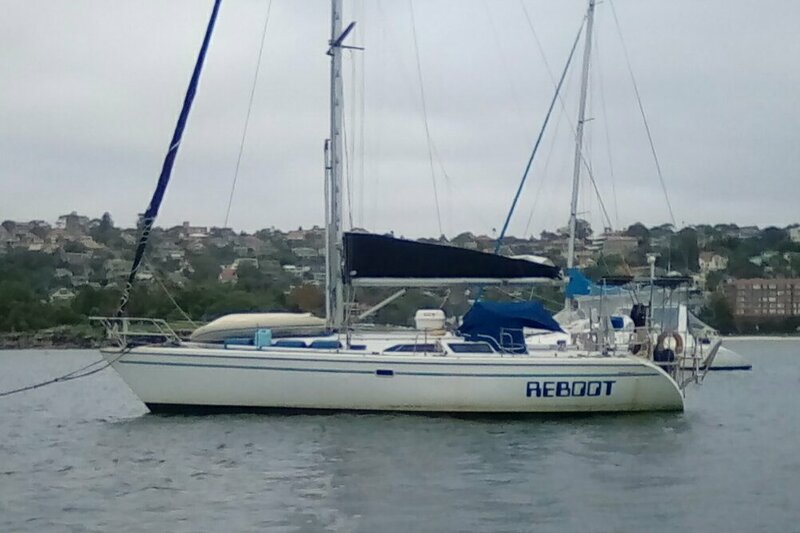 Reboot is a 42 foot Catalina 42 Mark II wing keel sailboat. This is the most popular 42’ sailboat ever produced. Over 1,000 of them were made. Its design is a sloop rigged cruiser – racer. That means it is light for its size and faster than a classic cruising boat in light winds. The cabin design emphases open spaces for social interaction. Compared to “cruising” boats storage space becomes an issue. It is a two cabin two head model. Theoretical hull speed is 8.3 knots. We normally cruise at 6 knots as it is much more comfortable. I plan for 100 nautical miles per day. We have fast days and slow days but over time we tend to average out at 100 nautical miles. For example the passage of 2700 nautical miles (Canaries to St Maarten) took 27 days. I want to arrive alive. Reboot carries a life raft, EPIRB, AIS, MF/HF radio, VHF radio satellite telephone, and radar. I want to be able to see and been seen. In the event of a serious problem I want backup equipment to keep myself and my crew alive. In the US Navy the second in command is the Executive Officer. His title is normally abbreviated “XO.” Reboot also has an “XO.” He is an extremely extroverted five year old Tonkinese cat (half Siamese and half Burmese.) He is very demanding of attention and affection. If you are not a cat lover or have allergies to animals Reboot is not the boat for you. 1. How long have you been sailing? 2. Where have you been sailing? Lake, sheltered waters, open ocean? 3. What are your sailing skills? iii. Into or from a dock? iv. To pick up a mooring ball? b. Do you know how to tell if a sail is properly trimmed? i. Do you know how to tell if too much sail is flying? ii. Do you know how to tell if too little sail is flying? c. Do you know how to furl a jib? d. Do you know how to reef a main? e. Do you know how to set a whisker pole? f. Do you know how to fly an asymmetric spinnaker? g. Do you know how to fly a symmetric spinnaker? h. Do you know how to set up and steer with a “Monitor” wind vane? i. Do you know how to drop and set an anchor? j. Do you know how to retrieve an anchor and get underway? 4. What are your watch keeping skills? a. Have you read and do you understand the COLREGS? b. Can you determine relative motion, closest point of approach and in general figure out if we are going to collide with another boat or land? d. Do you understand theoretical hull speed and the impact of current on actual speed over ground? e. Can you read the sky to determine if a weather change is about to happen? f. Do you know how to operate radar? g. Do you know how to operate AIS? 5. What are your navigation skills? a. Can you read a chart? b. Can you operate a chart plotter? 6. What medical skills do you have? a. Do you have formal first aid training? b. Do you have formal medical training? c. Are you qualified in CPR? 7. What are your radio skills? a. Do you know how to operate a VHF radio? b. Do you know how to operate a marine SSB radio? c. Do you have a ham radio license? 8. Can you operate a dinghy? 9. What is the longest non-stop trip you have ever made on a sailboat? My future plans include three passages that will take about 30 nonstop at sea days each. Do you have any experience that will prepare you for such a transit? 10. What has gone wrong on the boats you have crewed on? How did you contribute to fixing the problem? 11. What is the worst weather you have ever experienced at sea? How long did it last? 12. What skills - mechanical, electrical, etc. can you contribute? 1. Who was the best Captain you have ever sailed with? Why? 2. Who was the worst Captain you have ever sailed with? Why? 3. What is the worst disagreement you have ever had with a Captain? How did you resolve it? 4. What do you think makes you a good crew member? 5. Why do you want to take this particular trip? 6. What do you intend to do when we reach our intended destination? 7. When you go out with a group in the evening are you? c. In for the duration? 9. Name your two or three favorite movies? Why are they your favorites? 10. What are your two or three favorite TV shows of all time? Why? 11. Do you read? What kinds of books? Non-fiction, novels, Science Fiction, Fantasy? 2. Do you understand the cost and responsibility for acquiring any necessary visas is yours? 3. Do you understand and agree that if you are refused entry into our next destination country that I will ask you to leave the boat and you will be on your own wherever in the world we may be? 4. Have you ever been convicted of a crime in any country? 1. Do you have any health issues? 3. Do you have to or chose to not include certain foods or food groups in your diet? 4. Do you have anyone that relies on you (e.g. an aging parent, a close friend, or children) that would require you to leave the boat if something negative happened to them? Can they cope without being able to contact you for time periods of up to a month or more? 5. Is there anything about you I should know that I don't want to learn after you arrive? Please feel free to ask me any questions in return. 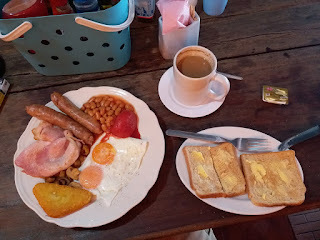 More than you could ever want to know about me at http://www.sailboatreboot.com. Thank you in advance for taking the time and making the effort in filling out this (lengthy) questionnaire.